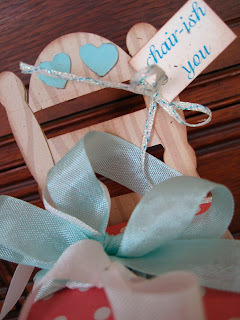 Today I'm showcasing the Chair-ished Template from the December release at My Time Made Easy. 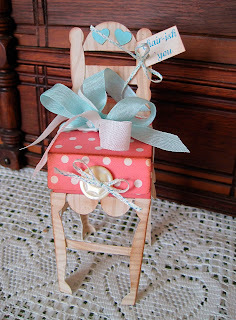 It's a cute, whimsical chair ready to slip a little gift inside. WOW! How creative, Lori! I'm impressed! Hey Lori - this is adorable. at first I thought it was made from real craft wood. Is that a little drawer where the button is? Just as sweet as it can be. Oh I love your chair Lori! Can't you make a bigger version, lol! Such pretty colours! !